Cod fishing! When does the Cod season start? It could be this weekend in Dorset. Cod Fishing! Are there any Cod being caught yet? That is all I am hearing at the moment. 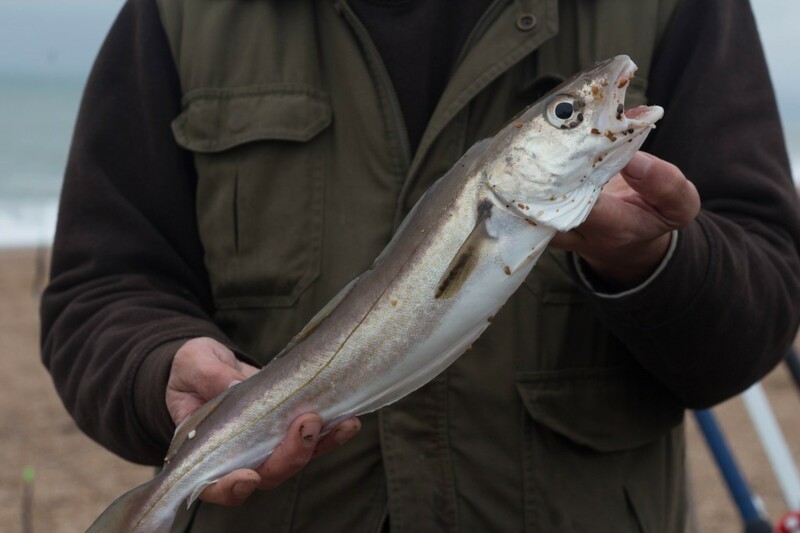 Sea anglers throughout the south of England have become fixated by the thought of Cod arriving on our shores. Even I have become quite excited about the prospect of catching a double figure Cod, and those of you that know me, know Cod are not very high up on my list of favourite fish to catch. This weekend could mark the start of the Southern Cod run. Everything is in place to suggest that might happen. Rough conditions with coloured water, Sprats turning up and a band of cooler water moving in that I have picked up from my subscribed satellite feed. I am guessing quite a few of you are reading this today, to find out what I caught yesterday. Conditions had certainly changed from the previous day as you can see below, and yes that is some crazy guy lure fishing in the background. That crazy guy happens to be Fishing Tails own technical guru, Adrian, who was determined to try and catch a fish on a lure, despite the water being very coloured. I on the other hand opted for a nice selection of baits to try and tempt a big Cod or Bass. I would love to big myself up, grab a few stock pictures, put them up and say I had a great session, but I would be lying. I did actually have a good session, but I did’t manage any of the monster Cod, or Bass that I had hoped for. The fish were prolific in there numbers, in fact that was the problem. 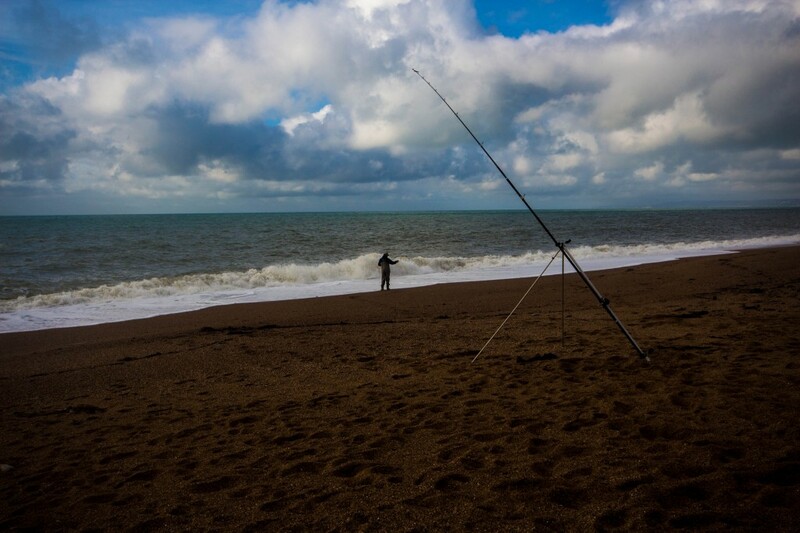 I gambled on the Western end of the Beach to produce some big fish at Burton Bradstock, as it has in the past in similar conditions. Unfortunately it was very difficult to get through the Pout. What was in evidence was some nice Whiting. The angler next to me landed a lovely fish, that would have gone 2 1/2lb if it had not been so skinny. I heard that there were a few caught down at the Portland end of the beach. My mate called me to say that he ha some nice Smoothoud, Bass and a 4 1/2lb Pollock. 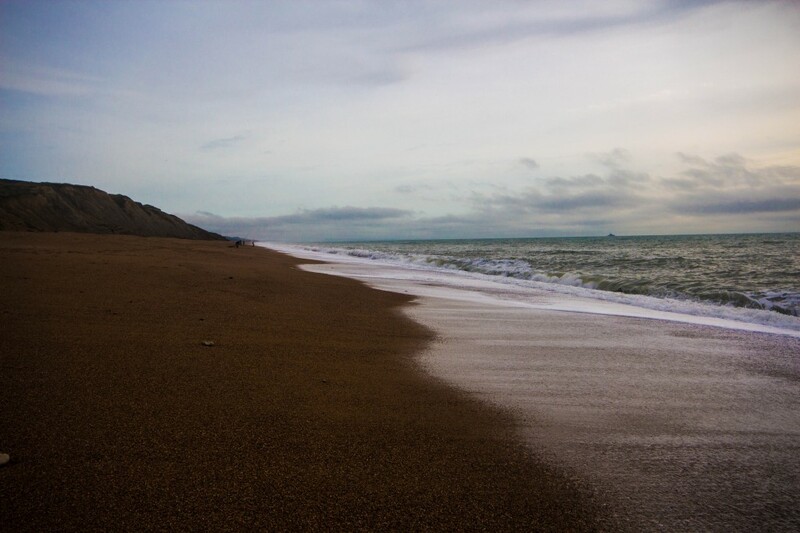 Chesil Beach forecast: The beach is fishable at the moment and there are more large Pollock being caught, which is norma for this time of year. Cod, Bass and Whiting should feature amongst catches today and Saturday. Unless the wind forecast changes considerably then don’t bother trying on Sunday, as it will be too dangerous. Portland Harbour: The area around Ferrybridge and Hamm beach seems to be fishing really well at the moment. Pollock, Wrasse and even some Bass have been caught all this week. This sounds like a promising mark, once Chesil is unfishable. 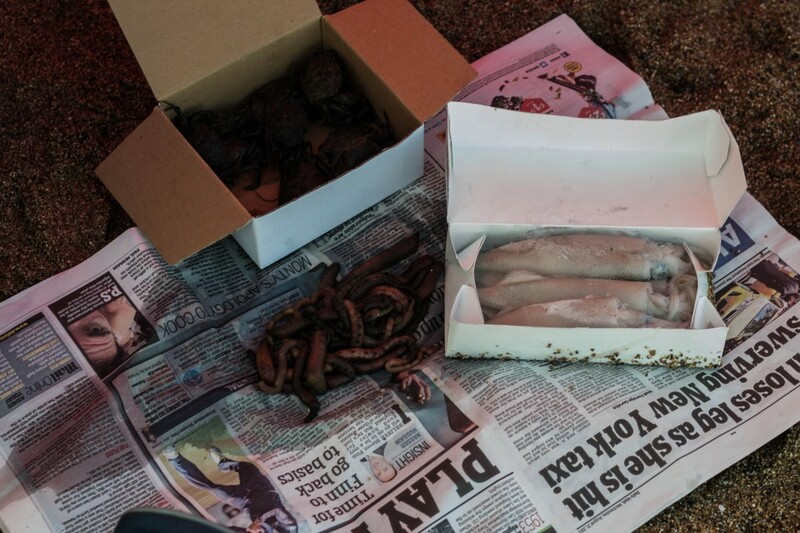 Fishing Tails > All Articles > Reports > Chesil Beach > Cod fishing! When does the Cod season start? It could be this weekend in Dorset.